My Creative View: One More Day!!! (and a new LO), and a WINNER! One More Day!!! (and a new LO), and a WINNER! Tomorrow is launch day!!!!! I hope to see many of you *thinking* along with us. I moved just about everything while keeping the "centered square". 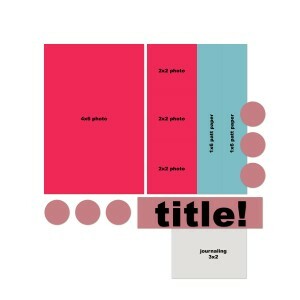 The PP strip is on the left, I used 2 4x photos, moved the title and added the flags under the block. I love this Basic Grey funky print PP. I challenge myself to find places to use it. I kind of feel like I am mastering orange too! Lastly, thank you to all that stopped by during the Mother's Day Blog Hop. I had my son pick a random number between 1 and 15.....He chose......13! that means DANAMK!!! You are a winner! I have a 6x6 paper pad from Making Memories to send you! I love that LO - the colours are so fun and the pennants as the border are great! 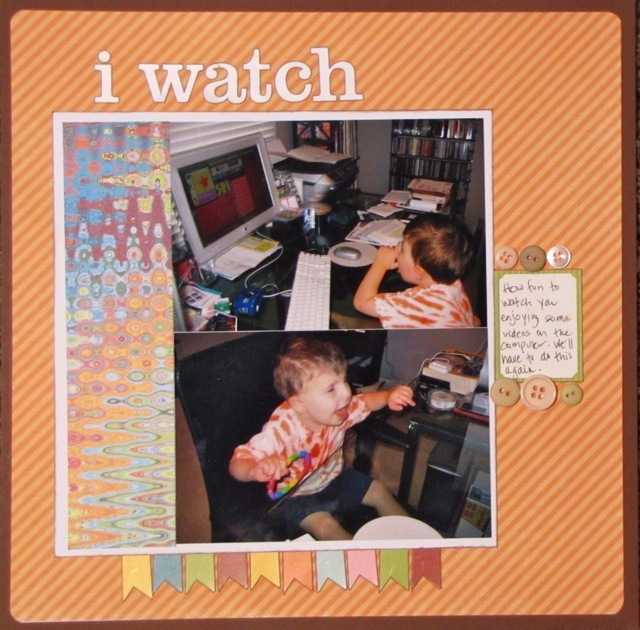 I love how you used the buttons on either side of the journalling block to draw attention to it too.